It’s Saturday again! How would you spend your Saturday night? Maybe for a little bit of recommendation, you may invite your best friends for a sunset cocktail by the beach, and then have a Japanese Buffet Night at Oishi Tei Jimbaran before going to your midnight party in Seminyak. 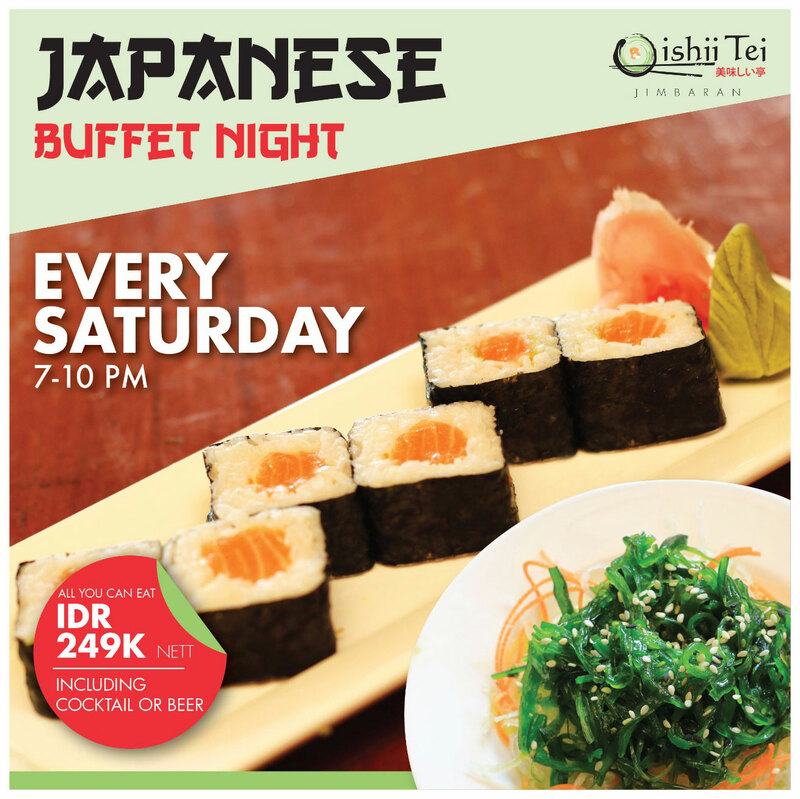 Japanese Buffet Night at Oishi Tei is only available at its outlet in Jimbaran and only on Saturday starting from 7-10 PM. 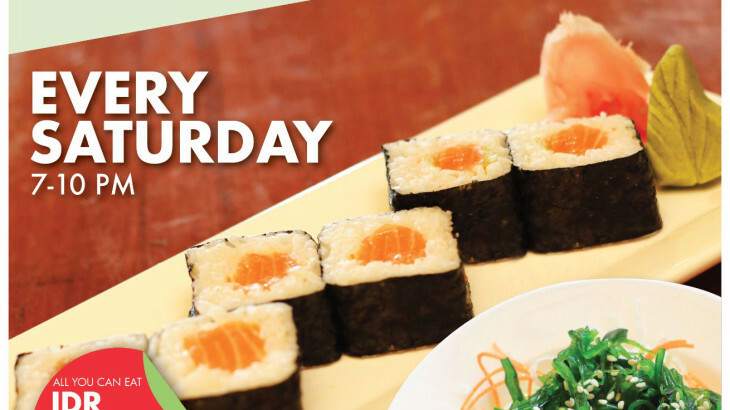 The “All You Can Eat” Japanese buffet is only IDR 249,000 Nett per pax including the selections of Beer or Cocktail. For reservation, please call +62 361 703341 or your can come to Oishi Tei Jimbaran directly from 7-10 PM. Have a nice weekend!